The best alternative to light and show a specific space, which features instantly become the center of attention due to the lighting system behind it. LED is usually used within the light box in one or various colors, with the option of creating patterns if required. Light boxes can be adapted to suit any interior following any design, providing a clean light in any public and private space; highly used in retail, hospitals, hotels and showrooms. For an effect of stars sky, or soft light ambiance, the optic fibers are ideal. 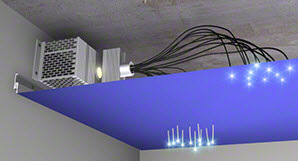 The optic fiber can be suspended, embedded, installed in the Barrisol stretched ceilings. ideal to create a subdued lighting. 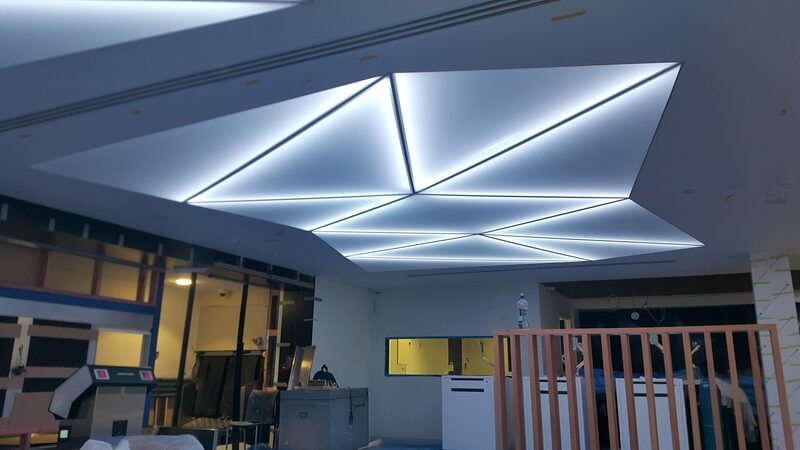 LED is the best option to be incorporated in Barrisol lighting ceilings for a homogeneous diffusion of the light. 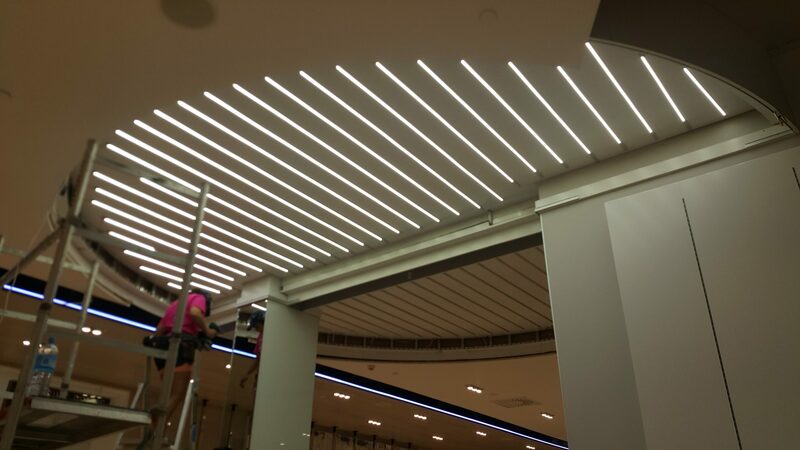 Fluorescent tubes are used to install a Barrisol light system, which provides the necessary power and adequate temperature of light. This power provided will be determine by the number, type and length of the tubes.